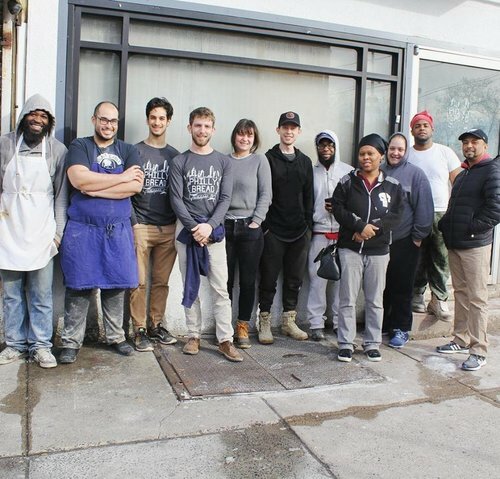 We couldn't find the type of bread we wanted to eat anywhere in Philadelphia, so we decided to bake it ourselves. Our founder, Pete Merzbacher, had worked in agriculture and dabbled in the food industry, but he was new to the world of baking. After much trial and error and with the help of others, Philly Bread was born in this fair town of Philadelphia. Now that we've been at it for a few years, we have expanded our products beyond our flagship Philly Muffin. We now offer a complete line of bread that includes Philly muffins, bagels, baguettes, burger buns, pullman loaves, focaccia, and ciabatta. Some are Philly born and raised, some are transplants. All have grit and passion. The eclectic and diverse nature of our team has resulted in a culture that balances innovation with consistency and accessibility with quality. Why do we buy local? Because quality of product and quality of relationships matter. From fine dining to fast-casual to natural grocers, our wholesale customers service over 10,000 people from all parts of Greater Philly. To learn more about where our products are served, click Find Our Products. 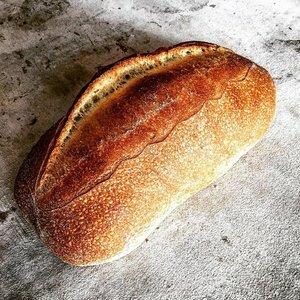 At its core, the Philly Bread method is focused on sourcing grains directly from the farmer and pulling as much flavor from them as possible. Pre-fermented flour and toasted grains help craft all of our dough. The addition of a ripe poolish, mild sourdough, and house-processed corn or roasted barley gives our bread distinct flavor, texture, and keeping qualities. We source the highest quality grains and mill them just before mixing the dough. Milling our flours allows us to unlock maximum flavor. To understand the importance of milling grain at our bakery, just ask yourself, what good coffee shop sources pre-ground coffee beans? What great restaurant orders pre-minced garlic? Those who care about their craft take every step of the process seriously (and we do). 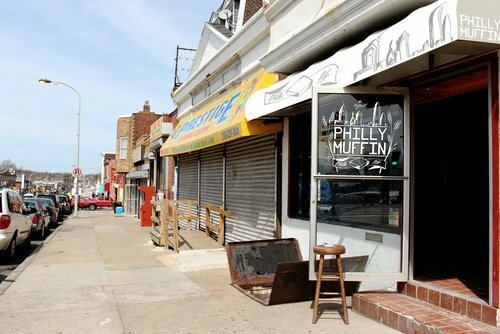 You can find Philly Bread at 4905 North 5th Street in the Olney ("ahl-i-nee") neighborhood. We're just a block north of Roosevelt Boulevard on 5th Street. We're proud to be a part of a community of bakers, with a handful of bakeries just blocks from our store. Philly Bread is committed to the city after which it's named. We strive to provide our neighbors with a quality product at a reasonable price. Listed below are the items that we offer for wholesale and retail. If you are a retailer or restaurant interested in carrying our products, please drop us a line via our Contact page. If you are a retail customer, please click Find Our Products to locate a restaurant or market that carries our goods. We always have items in development, so be sure to stop back and check out our newest additions! To learn more about the local ingredients used in our formulas, check out the Our Process page. Our flagship product, the Philly Muffin is its own product category. It has the nooks and crannies of its English counterpart, the seeded and sweet options of a bagel, and the sandwich making capabilities of a burger bun or ciabatta. Available in the following flavors: original, everything, cinnamon raisin, and house-milled heirloom wheat. Mini muffins are also available! A uniform, pan-baked shape and a denser, yet soft crumb makes our Pullman Loaf the utilitarian bread for your meal. All perfect for sandwiches and great for everything else. Available in: multigrain, rye, and potato. Multigrain: Flour weight consists of 50% whole grains. Dough is mixed with a local grain and rye mash and slightly sweetened with molasses. Potato: We create a roasted sweet potato mash from fresh sweet potato to bring you a soft, chewy bread. Cinnamon Raisin: Our version of the classic. Smear it with butter or jam and you are good to go! A classic burger bun that can handle any sandwich. It's vegan, but no one would ever guess. We managed to get all the smoothness and subtle sweetness of a brioche without any eggs or butter. The key is in our slow roasted sweet potato mash. Available as both a regular sized bun and a slider. Perfect for sandwiches with its perfect balance of crisp, chew, and softness. With an airy crumb and a slight sour tang from the naturally fermented dough, our ciabatta is rooted in tradition and re-imagined with Philly Bread clientele in mind. 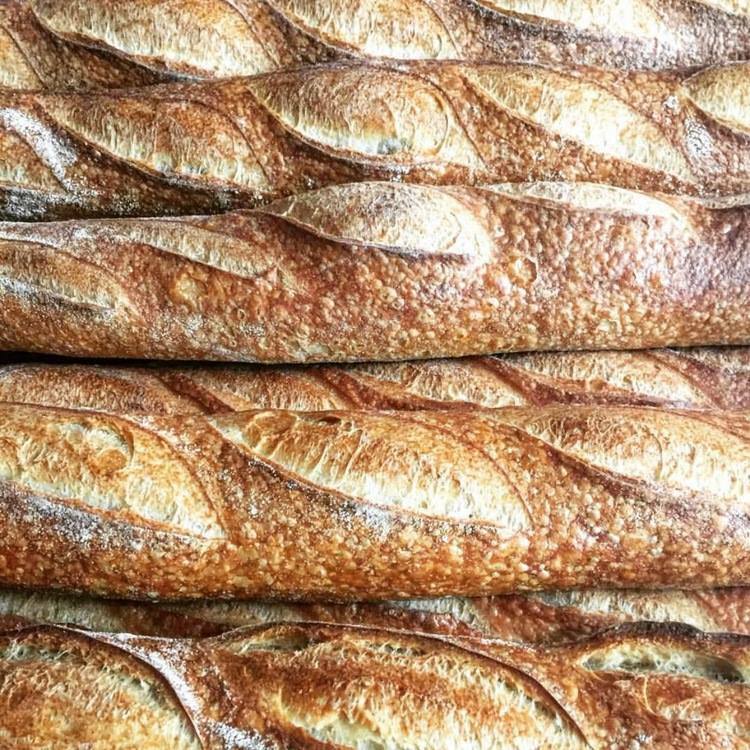 Inspired by the classic French baguette and baked with European-style (lower gluten) flour, our rendition also contains a small percentage of local corn which gives it a golden hue. Because of high hydration and slow fermentation, our baguette has a longer shelf life than most. Beautiful airy crumb with a perfect crust that will complement any sandwich. Our focaccia is perfectly balanced, baked with Maldon sea salt, dried rosemary, and olive oil. This rustic free-form loaf is a traditional table bread with an open and airy crumb. Available in white and whole wheat. A well-balanced bagel with the characteristic chew and crust, but still soft enough for sandwiches. 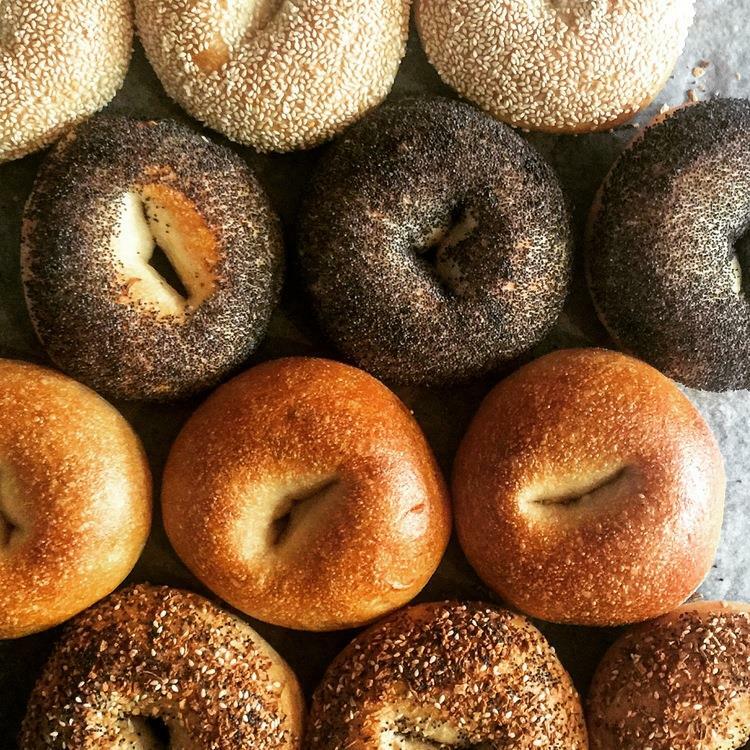 Poolish mixed and baked on the hearth, our hand-shaped bagels are excellent. Available in everything, poppy, sesame, and plain. Harder than your every day hoagie but softer than a baguette, our rolls have a longer shelf life than both. Made with toasted corn polenta for that golden hue and poolish mixed for a naturally fermented tang. Our deli rye is a wonderful hearty canvas for any sandwich. A custom blend of rye, white, and whole wheat flour with a touch of caraway gives this deli classic its characteristic earthiness and tang. POST-IT NOTES, & THE PHILLY MUFFIN. Many amazing things have been invented by accident. The last of which was born in my own home oven and soon became Philly Bread's flagship product. Back in 2012, as a 23 year old home baker, I fried up some square-ish pieces of high hydration sourdough in a cast iron skillet. This product made my friends and family go crazy. After the fact, I found that there had been no real innovation to the English muffin since Samuel Bath Thomas first developed his muffin in 1880. Creating the Philly Muffin taught me a valuable lesson upon which I founded Philly Bread: inventive foods don’t have to be complicated or expensive to be appreciated. All of Philly Bread’s products have a regional flare, all vegan ingredients, and a special balance between inventiveness and approachability. Obsessive about quality. Focused on consistency. Always inventing. The Philly Bread way. For restaurants, cafes, and farmers' markets, continue scrolling. 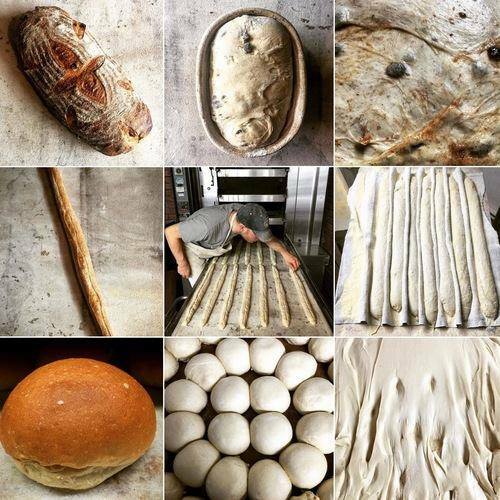 If you are interested in sourcing our bread for your food business or have any questions about Philly Bread and our product, drop us a line below or give us a holler at 215-839-8694. We are always searching for the hardest workers that Philadelphia has to offer. Baking experience is preferred, service experience is expected, and dedication is compulsory. In exchange, we offer competitive wages, steady hours, and a collaborative workplace. Thanks for checking us out. In this description I'll go over our approach to bread, the position itself, and compensation. Generally speaking, there are three components to the Philly Bread baking process -mixing, bench, and oven. Applicants without experience will first be assigned to the bench where they will learn about managing bulk fermentation, dividing, and shaping. For those with artisan bread experience, you will quickly progress to the oven station where you will operate a steam tube deck oven and a double rack oven. The mixing position is reserved for highly experienced bakers who have demonstrated passion and consistency. Compensation is tied to experience but as a general principle, we believe that you get what you pay for. We will teach you all that we know but we can't teach interest/passion/character. If you work hard, play nice, and crave knowledge, we'll move you up to $15-$17 per hour as fast as possible. It is in our interest to retain top talent! Anyway, that's it. 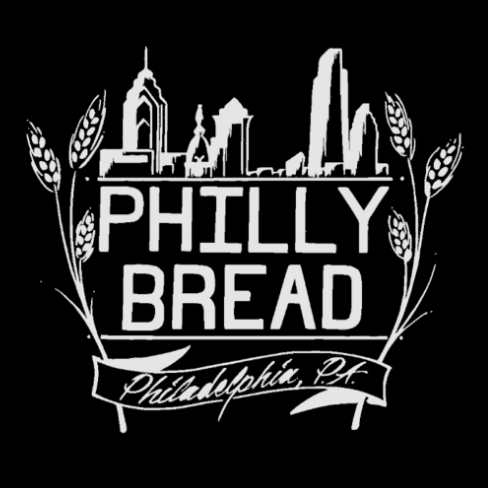 If you're still interested please send a brief cover letter and a simple resume to jobs@phillybread.com. If you don't send those docs, we won't consider your interest.